Li Hejun is considered by many to be a saviour rather than a ruthless businessman, owing to the fact he makes money from renewable energy sources. This means that Hejun has pioneered an idea for people to discard unnecessary fossil fuels and harness energy from sources that are renewable, such as solar and hydro power plants. 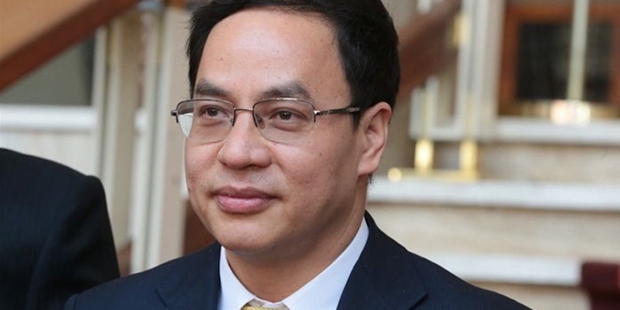 He is the founder and the chairman of Hanergy, which is China’s biggest and one of the world’s most acclaimed renewable energy source companies. Renewable energy is touted to be the future of the world and Hejun, the visionary was able to figure that out before anyone else in China. Life of Li Hejun began in the humble surroundings of Heyuan in Guangdong in China. Born in a middle-class family, not a lot is known about his childhood, but Hejun rose to prominence as the chairman of the Hanergy firm. He was not so long ago- February 2015 to be exact, the richest man in all of China. Hejun is a story that is well-known and documented in China. How a middle-class boy was able to make history as one of the richest men in the world is something that a lot of Chinese individuals love to ponder over. Through his efforts, Hanergy has been able to grow exponentially and acquire many other solar and renewable energy firms not only in China, but worldwide. Hejun was responsible for Hanergy obtaining Miasole, a US based renewable-energy giant for close to $30 million. He followed this up by acquiring Solibro in Germany, which is a subsidiary of Q-Cells. In the year 2013, Hanergy obtained Global Solar Energy and followed this up by acquiring Alta Devices from the United States in 2014. Hanergy has also initiated a subsidiary in India and is looking to expand further. The credit for the prominent growth of the company falls on the shoulders of Li Hejun. His story has inspired the billions of Chinese entrepreneurs who are looking to make it big in their homeland. The price of his stock had fallen around May 2015, and it was widely speculated that the company had faced a setback. However, it was due to the fact that Hejun had shorted his stock in the company, but still remained its principal shareholder. Thus, Li Hejun has been able to transform an idea into one of the best in the world and in the process realize a dream of close to a billion. To rise high in a country like China is not easy, but Hejun has defied the odds and gone on to become the richest man in the most populated country in the world.